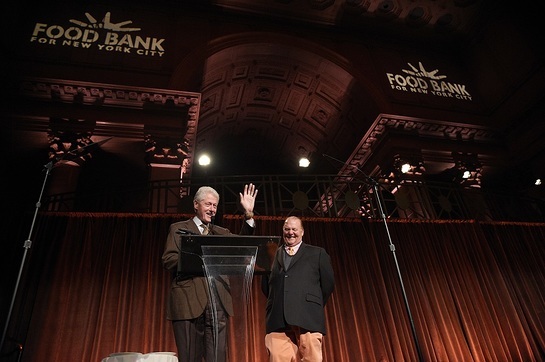 President Bill Clinton made a surprise appearance at this week’s Food Bank For New York City Can Do Awards with his friend and the evening’s emcee Mario Batali to emphasize the need now, more than ever, to help end hunger in New York City. The star-studded evening, held at Cipriani Wall Street, honored FEED Founder and CEO Lauren Bush Lauren, The BLK Projek Executive Director Tanya Fields and the Muslim Women’s Institute for Research and Development for their commitment to hunger relief. The Can Do Awards help provide support for the 1.5 million New Yorkers who rely on Food Bank’s programs and services. 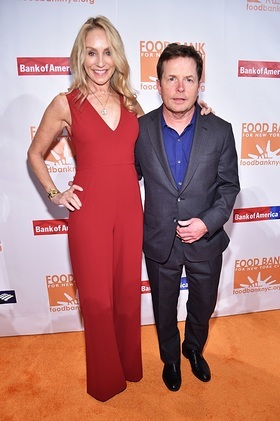 Additional supporters included Batali’s co-emcee Michael Symon, along with Michael J. Fox & Tracy Pollan, Joy Bryant, David Burtka, Amy Hargreaves, Billy Crudup, Zak DeOssie, Christine Evangelista, Dominic Fumusa, Adam Gettis, Carla Hall, Ubah Hassan, Katie Lee, Al Roker and many more. Since its inception, the Can Do Awards have raised more than $16 million dollars, helping to provide 80 million free meals for New Yorkers in need. Every dollar donated to Food Bank helps provide five meals.